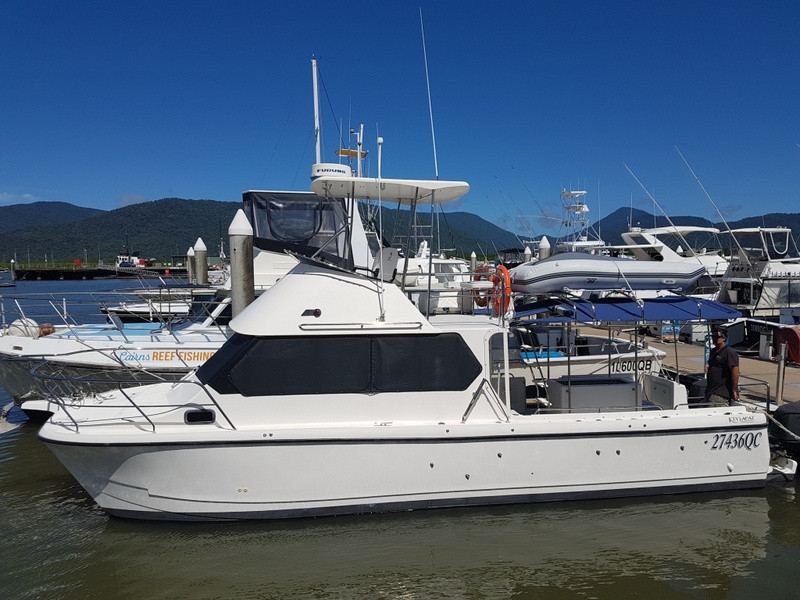 Cairns Reef Fishing is thrilled to announce we now offer HALF DAY & FULL DAY PRIVATE Snorkelling & Fishing Charters to the Great Barrier Reef on our newest vessel REEF RUNNER! Reef Runner is guaranteed to impress! She is a 11m Kelvacat, equipped with powerful outboard engines, the latest in safety, navigational and fish finding equipment, gas stove, hot water, dive platform and a comfortable modern cabin. Reef Runner has a cruising speed of 22knts, which means she can get you to where you need to go in no time. Please check out the PRIVATE charter page for all details.